Lake Orion area patients ask, what causes TMJ/TMD? TMJ, which stands for temporomandibular joint, is the jaw joint that is used to open and close the mouth. Sometimes, a condition called TMD (temporomandibular joint disorder) may occur. This problem is related to the function of the jaw joint. Patients may experience pain and discomfort, along with a myriad of other problems, when this condition begins to manifest. Patients may notice headaches, fullness in the ears, muscle pain around the jaw, clicking and popping when chewing, and locking of the jaw. All of these may be linked to the TMJ. Patients in the Lake Orion area often ask their dentists and physicians what causes TMJ/TMD to occur. 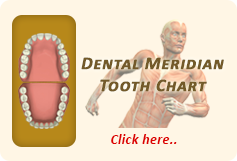 There are many reasons why TMD may be present. A blow to the face may cause the jaw to become misaligned and problematic, leading to the signs and symptoms of TMD. As patients age, they may begin to experience problems such as arthritis. Arthritis can affect the jaw joint and result in discomfort and pain. TMD tends to be present in patients with high-stress careers, including stock traders, lawyers, and physicians. Flare-ups of the TMD may occur during times of high stress, as these individuals may be clenching or grinding their teeth, which can aggravate the symptoms of TMD. In some cases, TMD may occur in patients who have a misaligned bite or malocclusion. This may be improved with orthodontic treatments to reposition the teeth and realign the jaw. 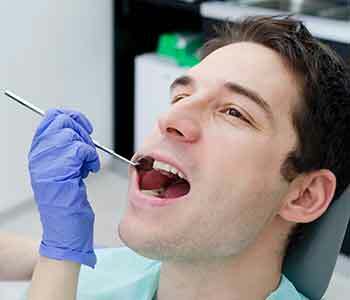 A proper diagnosis of TMJ/TMD can be done with a physician or a dentist, including Dr. John L. Aurelia. He will examine the mouth and determine the tenderness of the muscles around the jaw. He will measure the range of motion of the jaw joint and perform further diagnostic measures including x-rays to check for damage or trauma to the jawbone. This may also help him determine if arthritis is the cause of the pain and discomfort in the area of the temporomandibular joint. In many cases, patients can visit with a dentist to enjoy oral appliance therapy to ease the problems associated with TMJ/TMD.